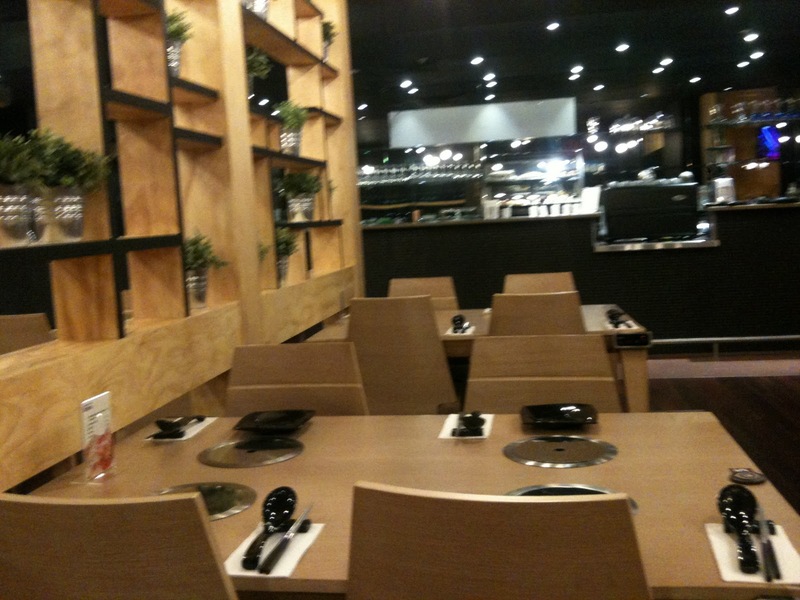 Shabuhouse is a relatively new Japanese restaurant at Mary Street, Brisbane. While the main focus is shabu shabu (Japanese style hotpot), they do offer other Japanese dishes such as sushi and sashimi. The restaurant itself is new and shiny with individual electric hotplates for each diner. Whilst the rest of the menu looked tasty we had to see if the restaurant was true to its’ namesake and we decided to have shabu shabu. For those note familiar with shabu shabu, you may feel like you’re just paying for ‘mise en place’ and not getting a very good deal – you have to cook the food yourself. But that’s actually half the fun of shabu shabu and when they serve it with a precooked tasty broth and some dipping sauces, it makes for a wonderful meal. There are 4 types of soup bases to choose from: TomYum (spicy/sour beef bone soup), Chicken, Katsobushi (Japanese dry fish soup) and Konbu (Radish and seaweed soup). 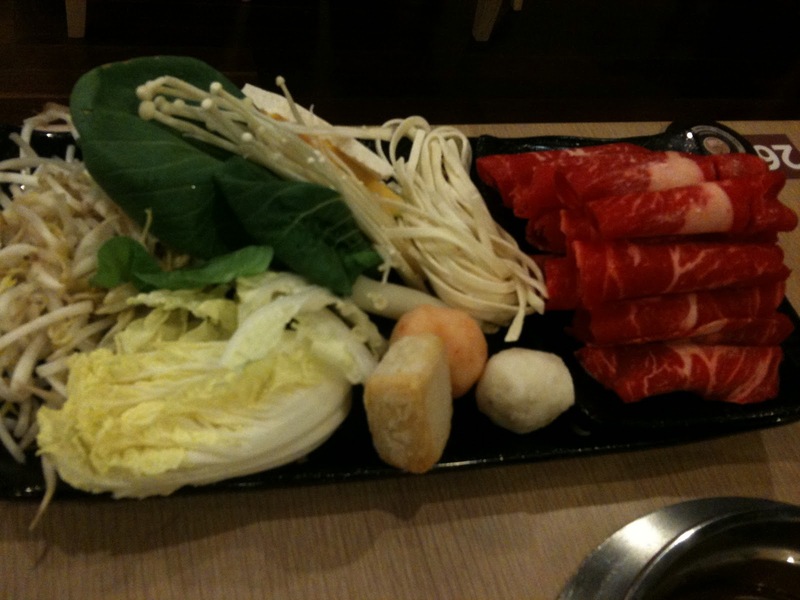 As for the shabu, the choices are beef, seafood, pork and vegetables. It is reasonably priced at $14-$20. I had the Shabu Beef with Katsobushi soup. 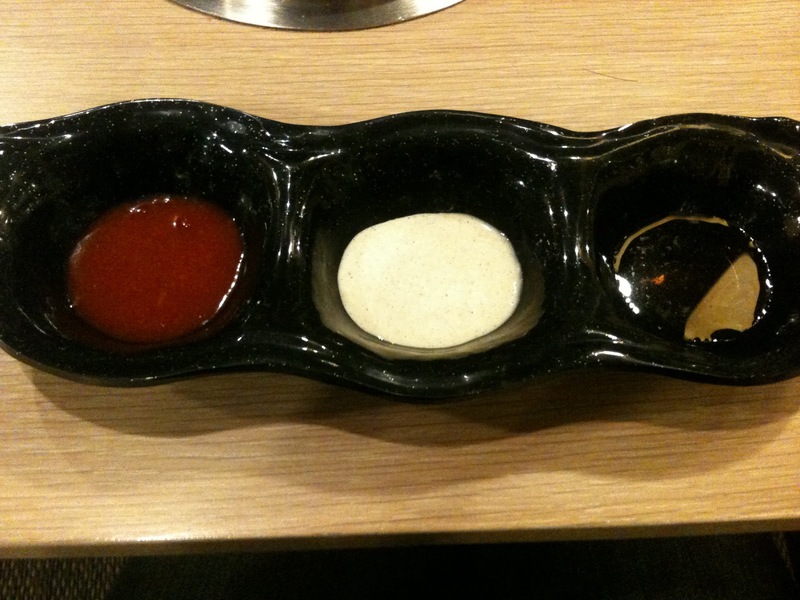 The soup was not very strong in flavour but complimented the other ingredients and sauces well – I really enjoyed it. The beef was thinly sliced and cooked within seconds once dipped into the boiling soup. 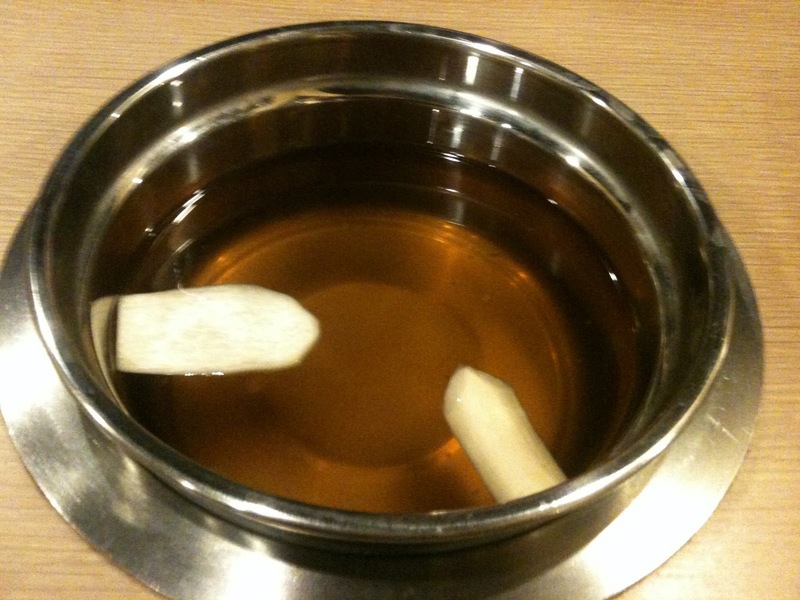 My friend, J, tried the Shabu Mushroom, Konjac and Tofu with Konbu soup. 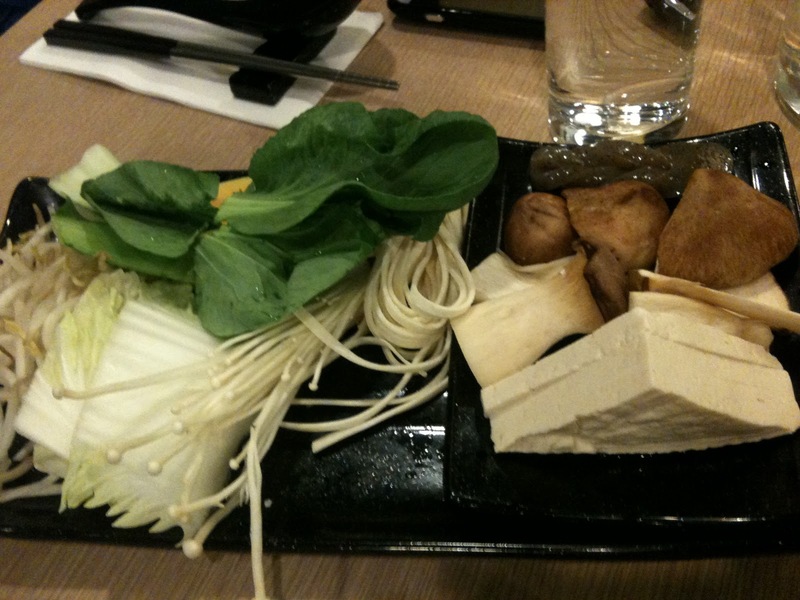 Both dishes comes with fish tofu, beansprouts, cabbage, tofu, bok choy and a small portion of rice sticks. This dish was also enjoyed. The only thing to note is that rice is not included in your meal so if rice is a staple in your diet, I would suggest adding that to your order. 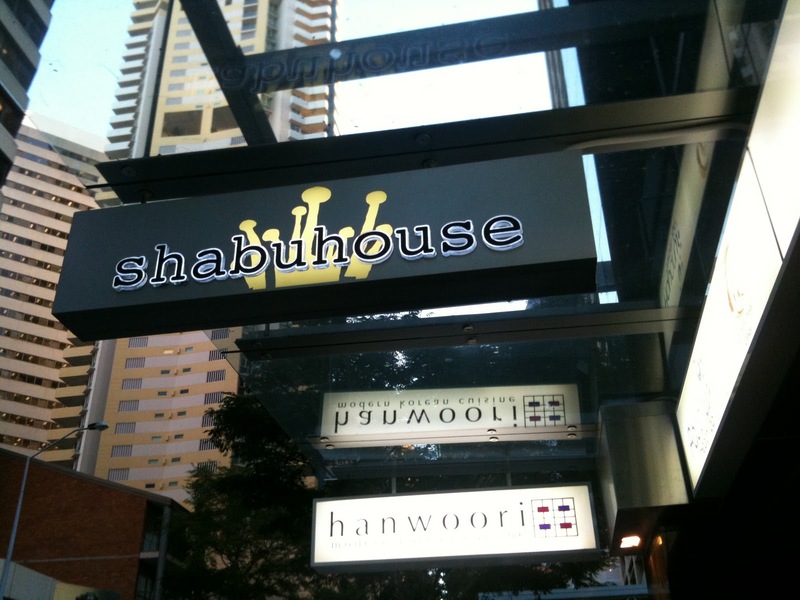 Overall, the food at Shabuhouse is good value for money and served us well as a healthy, guilt-free dining experience. I will definitely make a return visit to hang out with friends.